As the lines between Hard Rock and Heavy Metal become ever more blurred, bands of this calibre are a rousing celebration of what's best in both worlds. Bristling with primal energy and fortified with a piquant, discernibly Neo-Classical sheen, The Unity made quite the entrance in the spring of last year with their eponymous debut. 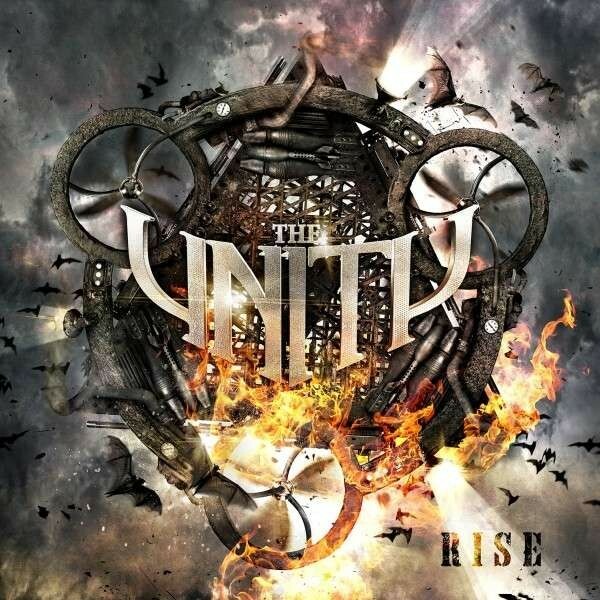 Put together by one-time Gamma Ray alumni Henjo Richter and Michael Ehré (on guitars and drums respectively), The Unity play a bombastic yet precisely focused blend of swaggering Hard Rock with a blistering Metal edge. In many respects, it is kind of like a riotous mix of Eden's Curse, Gamma Ray and Pretty Maids, but with a healthy old-school injection from some of Britain's finest as well, think tinctures of Iron Maiden, Judas Priest and Black Sabbath (circa Tony Martin). Not surprisingly, the release of sophomore album 'Rise' sees the band up their game a little bit, the challenge of an exacting deadline met head-on with a noticeable hike in song quality and even stronger melodies. An obvious starting point from my perspective is the careering 'Road To Nowhere', a sizzling seven minute plus tome that hits you right between the eyes like an interstellar explosion of Gamma Ray and Stratovarius. The equally pacey 'Last Betrayal' for some reason reminds me of Vinnie Vincent Invasion put through a Pretty Maids filter, its soaring hooks (especially in the chorus) not normally associated with tracks delivered at this kind of speed; credit also goes to vocalist Gianbattista Manenti for delivering this one with real conviction. The rumbling 'You Got Me Wrong' lowers the pace a notch or two, it's clever layering giving it the presence of a thousand choirs whilst the crunching riffs just scream Accept! I could wax lyrical at some length about most of the tracks on here – the frothy, heavy AOR vibes of 'Better Day', the marauding 'No Hero' and smouldering 'The Willow Tree' (very Uriah Heep-like at times) being just three that caught my ear for different reasons at different times – but all I'll say is that if big hooks, stretching arrangements and rousing melody lines are your thing (and why wouldn't they be? ), then 'Rise' is definitely an album you'll want to check out. As the lines between Hard Rock and Heavy Metal become ever more blurred, bands of this calibre are a rousing celebration of what's best in both worlds!